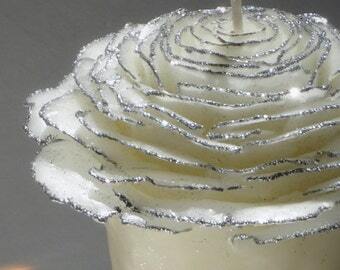 Pure Beeswax Glitter Rose Candle in natural white and gold. Handmade to order in my "Garden" style, like a rose in full bloom. 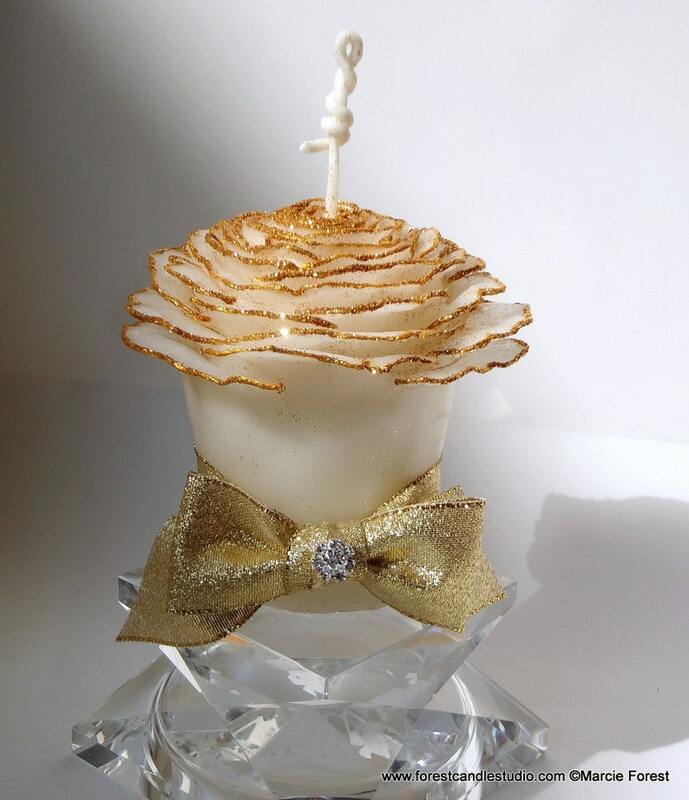 These unique, eco luxury candles are gorgeous for gifts and decor for home, weddings, engagements, anniversaries, holidays and other special occasions. 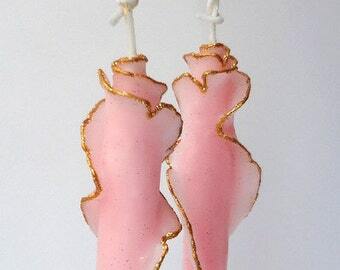 Individually handcrafted at my art studio in California, no two candles look exactly the same. 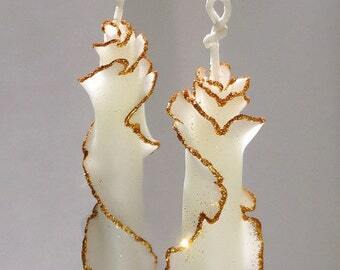 Can also be custom ordered in other candle colors, sizes, styles, adornments, and quantities to go with your event or home decor. Contact me for info. Holders are not included. Let me know if you need help finding holders. 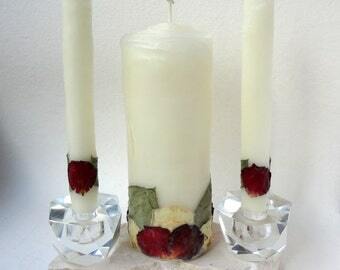 (Light the Rose Pillar 1-3 hours at a time to leave the outer shell intact. Please tell me the event date and date needed by in the note section during checkout. The current estimated production time for this item is listed in the "Shipping & Policies" tab. Need the candles sooner than what's listed? Contact me prior to purchase to confirm. Rush orders accommodated when possible (there may be an additional charge). Ships via US Postal Service Priority Mail with tracking & insurance; approx 3 days delivery time but can take up to 5 days. Overnight delivery via Express Mail is an available option during checkout for an additional charge.